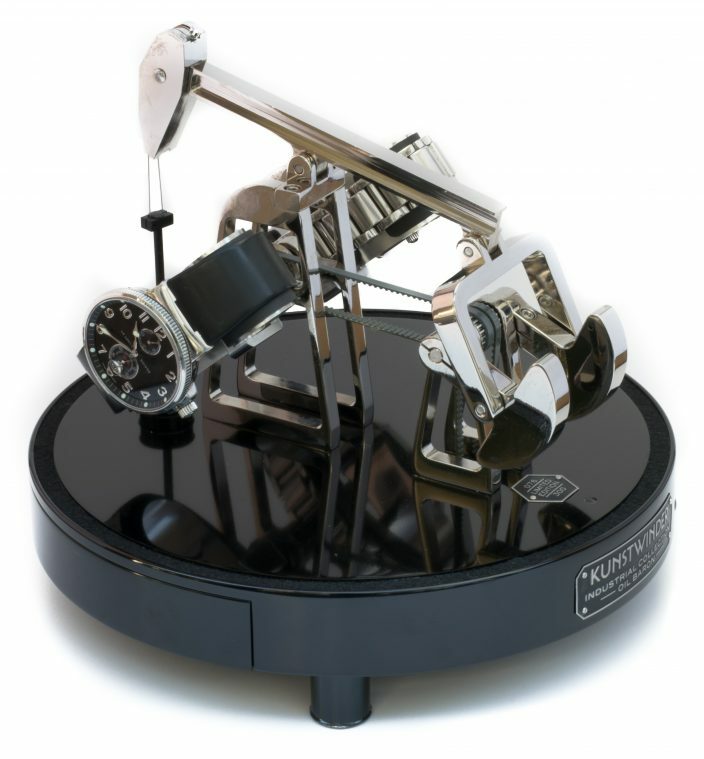 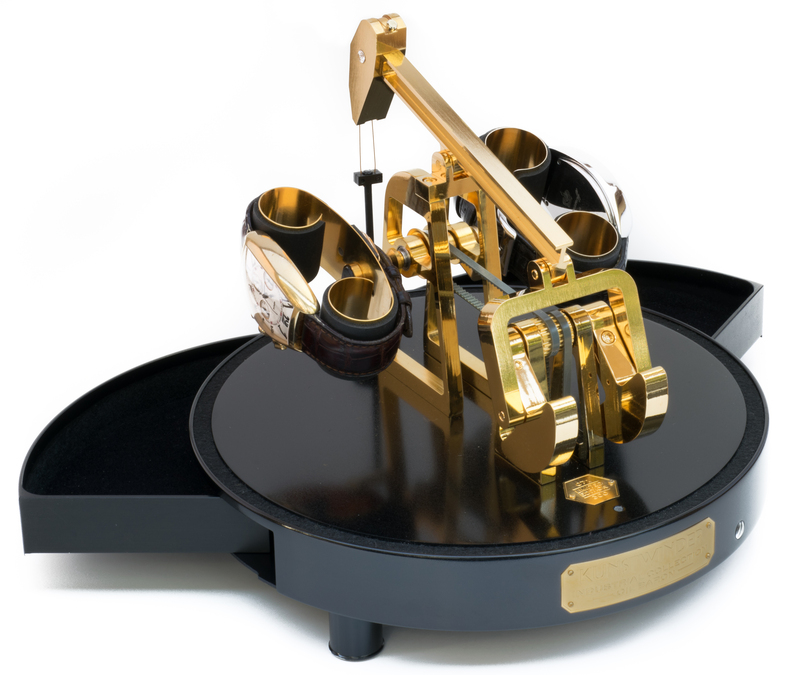 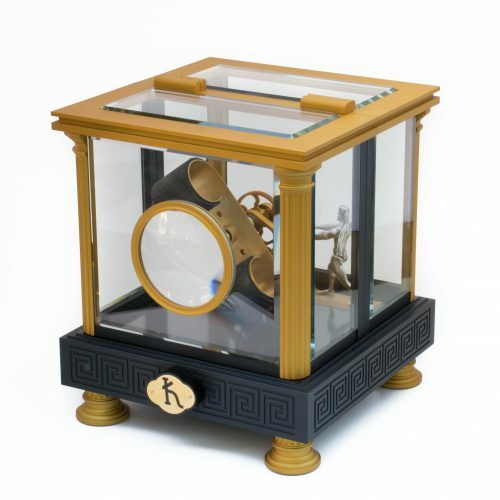 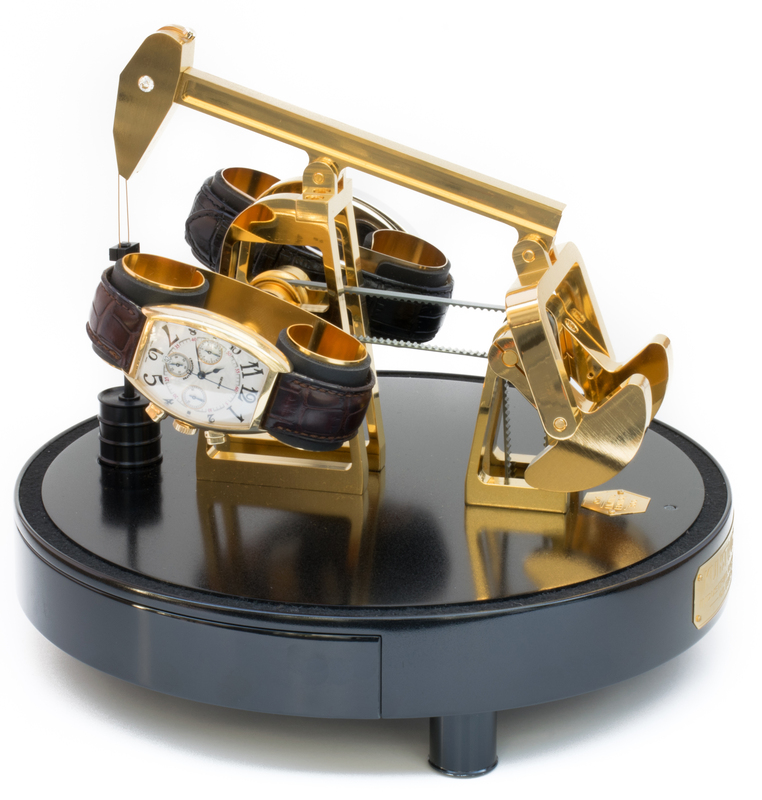 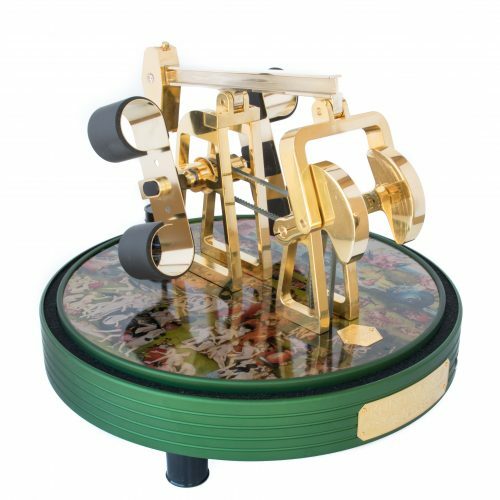 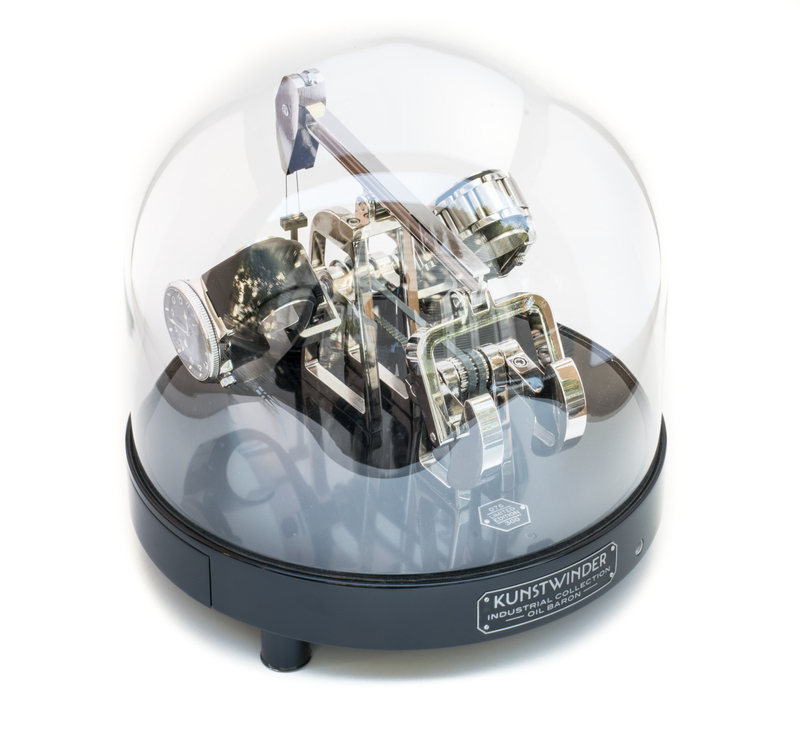 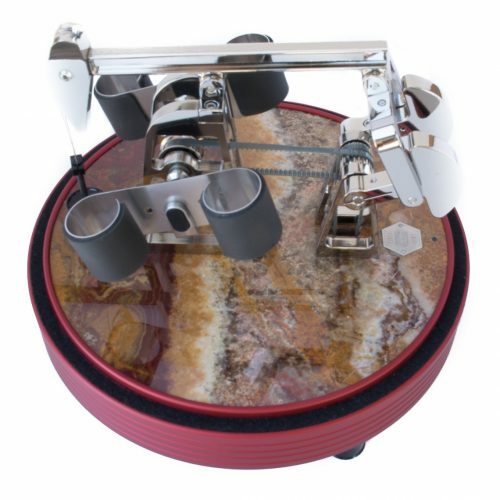 Industrial Collection begins with the Oil Baron-watch winder. 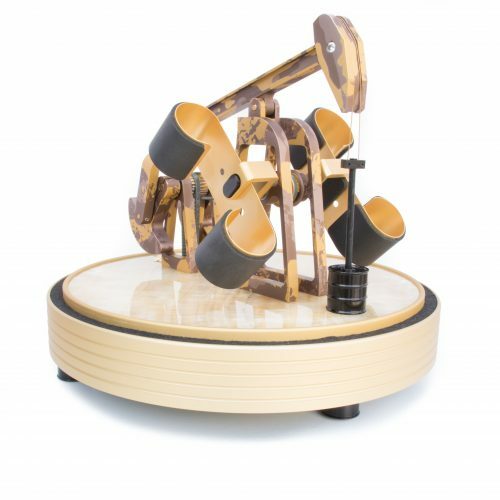 Its intricate mechanical movement replicates the work of the famous horse head liquid pump used primarily for pumping crude oil. 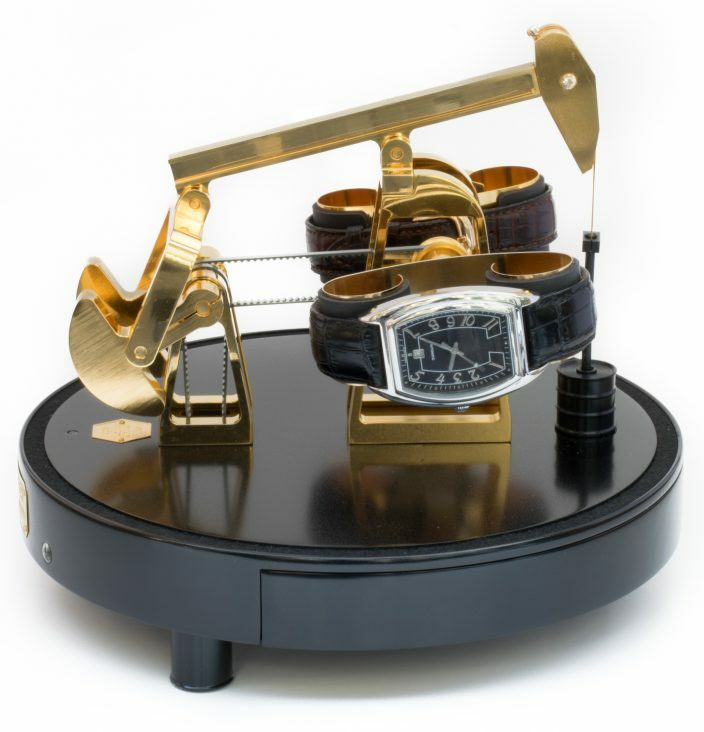 Available in both gold and nickel.